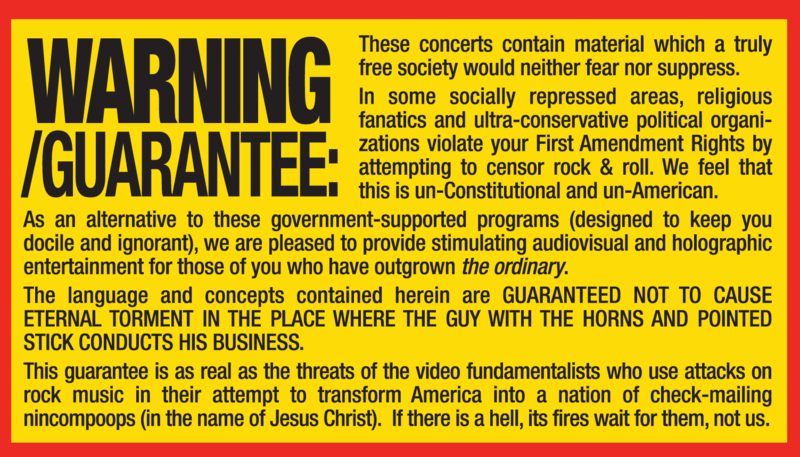 Composer, musician, futurist and innovator FRANK ZAPPA is facing censorship yet again over so-called “questionable content” in the ad artwork for the upcoming “The Bizarre World Of Frank Zappa” hologram tour which will make its debut this April in the U.S.
“The Bizarre World Of Frank Zappa” will kick off with nine U.S. shows on Friday, April 19, with seven European performances in May to follow (see press release here). 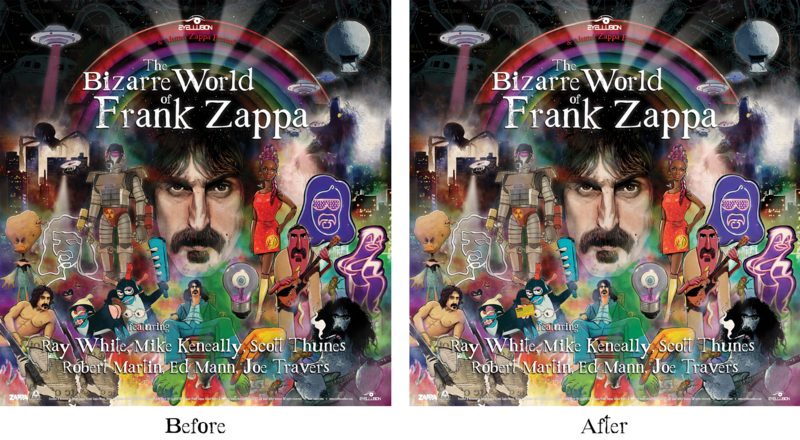 Produced by Eyellusion, the “Bizarre World of Frank Zappa” hologram tour band is comprised of former ZAPPA bandmates for this monumental series of shows. The touring unit boasts guitarists Ray White and Mike Keneally, bassist Scott Thunes, multi-instrumentalist Robert Martin, percussionist Ed Mann, and drummer and ZAPPA archivist Joe “Vaultmeister” Travers.